When LIFE gets wild and complicated, we must adjust, modify, SHIFT and move…yet we forget or don’t know how. Navigating the journey of this so-called life can be complex. There are times when we might find ourselves stuck, unable to move forward – we can feel paralyzed by fear. This is when SHIFT happens – all we can do is MOVE THRU IT! This 7-day retreat is going to do just that, move us out of fear as we get our inherent vibrations and energy flowing again. 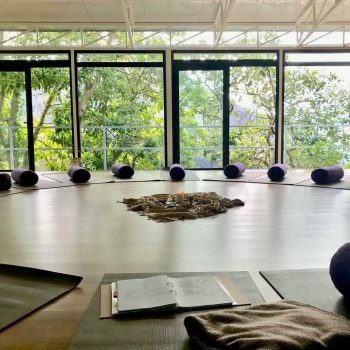 Embark on a unique retreat and life experience as you rediscover “who you truly are”. You are not a character in your soul’s story…you are the author. It’s up to you how your story will unfold. Though the rhythm of life can be wild, sometimes we just need to be reminded that we are born with dynamic bodies that beckon us to dance fiercely, even in times we feel like sitting it out. Together, we will explore yoga’s profound capacity to catalyze personal growth and guide us to reveal our true potential. The daily practice of yoga – meditation, breathing exercises, and sequenced movement – will be used to aid in re-patterning habits that no longer serve us and cultivate ones that will. Will there be ME TIME? 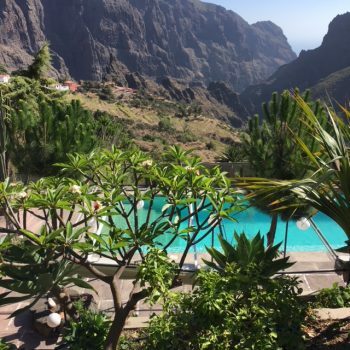 As well as time set aside to rejuvenate and restore, you can read or lounge by the pool, walk the luscious grounds or up into the mountains, and indulge in delicious home-grown vegetarian meals and delectable snacks that will feed your soul. WHAT WILL ALLOWING SHIFTS TO HAPPEN FEEL LIKE? It is our belief that all movement, being fluid, and flowing with our body is the best way to give ourselves permission to move through whatever adversity we are facing. This retreat will be centered on inviting ACCEPTANCE and JOY in, so to embrace the life you have been given now. Maggie and Novi’s passion for movement, yoga and life is easily felt and accessible. They infuse a sense of humor, compassion, and an energetic flow into their styles of teaching. 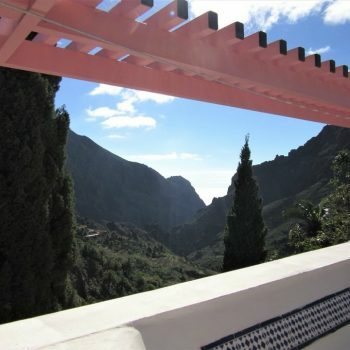 This gorgeous estate is a dedicated yoga retreat center in Tenerife, with stunning views surrounded by majestic mountains, lush trees and foliage. Come delight in the sounds and beauty of nature, the fresh air and the stunning scenery that will ground you into your body and allow you to breathe a little deeper. It is both an intimate and picturesque atmosphere that will feel like a warm embrace the moment you arrive. There are two airports in Tenerife. Plan to arrive in the afternoon of September 7th. Let us know your flight details so that if you wished to be picked up by our retreat hosts for an extra cost or you may choose to request your own taxi or rent a car. was born on April 22nd 1980 in the mid-western United States. She is a true Taurus: reliable, practical, ambitious and fiercely loyal. Maggie grew up literally dancing her way through life. She began practicing ballet at the age of 3 year and continued to explore movement through modern, jazz and hip hop dance. Maggie’s creative nature and fearless spirit are what lured her into theatre productions and musical performances all throughout her youth. The yoga seed was planted when she was first introduced to yoga at a summer Theatre Camp when she was 12 years old. Maggie began regularly practicing yoga (Bikram) around the age of 20 years old and immediately hooked to the physical practice and reflective meditation. Maggie continued to explore different lineages of yoga such as Hatha and Ashtanga but eventually fell in love with Vinyasa. The art of Vinyasa was like a coming home, a returning to the Self. The connection of breath led movement intertwined with the rhythm of music and melody was the dance she longed for. Maggie’s courageous character and bravery are what inspired her to take a ‘leap of faith’ in island living. 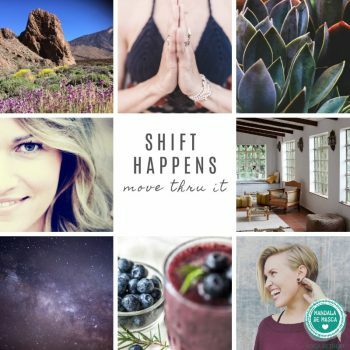 After saving up just enough money to buy a one-way ticket to Maui, Hawaii (where she ended up living for nearly 15 years) Maggie began living a more conscious and awakened lifestyle. Her ‘faith’ was tested when her mother was diagnosed with terminal brain cancer and died nearly two years later. She turned to her mat to catch her during this time and used this ancient tradition to soothe and guide her. Yoga had become her ritual, a way of life, a safe haven and place of deep introspection and healing. While living on Maui, Maggie met a Professional Windsurfer (from the Netherlands) and they married on the island, started a family and eventually after many years of traveling they decided to settle down in the Netherlands. Maggie currently teaches various styles of yoga in Den Haag. 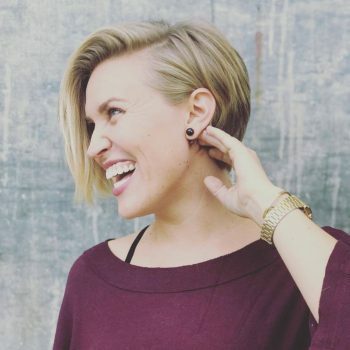 Maggie’s main intention is to: encourage empathy towards one another and compassion towards ourselves, to truly heal our hearts and honor our bodies to constantly explore and continuously take up space, to find our authentic self-expression by living truly, madly and deeply on and off the mat. was born on June 7,1987 in Northern California. Being a Gemini, she is energetic, passionate, generous and a lover of life. At a young age she felt the urge to reconnect to her Dutch roots and moved to Rotterdam, Netherlands in 2008. Everything was familiar to her soul and she felt immediately at home. It was the connection to a place she had been searching for her whole life. She started to make roots and grow a yoga community in the busy metropolitan city on the Maas. Her relationship with yoga began in her teenage years. It was the first kind of dynamic movement that penetrated her soul. It’s graceful & organic qualities; natural healing components and deep breath awareness brought her home in her body. These embodied practices would eventually save her life. In 2015, at the young age of 27, life took a very unexpected turn when she was diagnosed with cancer. Her yoga practice no longer included dynamic yoga postures; instead her breath became her greatest tool that created moments of peace and refuge when turmoil and chaos surrounded her. Novi’s yoga lessons are infused with softness, intention, subtle transitions, purposeful sequencing, soulful healing and inspirational story telling. 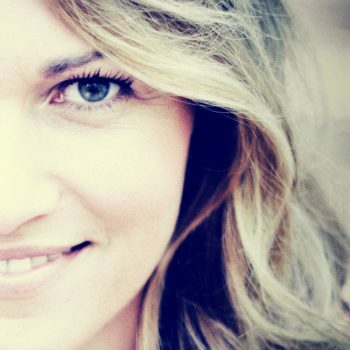 She now resides and teaches hatha flow and restorative yoga in northern California near her family. In her spare time you could find her making traditional malas, being with her dog Dutch, walking amongst the almond trees or writing her life story. Do you want to move thru it with us? Be Here. Be You. Be Bold. You Belong.